ATHENS, GA -- Democratic congressional candidate Chalis Montgomery strongly condemns the president’s decision to forgo diplomacy and withdraw from the Iran Nuclear Deal today. Such a reckless and unilateral move threatens our alliances among our strongest global partners--including France, Germany, and the United Kingdom--who remain committed to holding Iran accountable. ATHENS, GEORGIA—Today, State Rep. Jonathan Wallace (GA-119) announced that he is endorsing Chalis Montgomery for U.S. Congress in Georgia’s 10th District. Athens, Georgia--Chalis Montgomery, Democratic candidate for Georgia’s 10th Congressional District, is applauding the Clarke County Sheriff for his policy reversal on Immigrations and Customs Enforcement (ICE) detentions. Chalis Montgomery, a candidate for Georgia’s 10th Congressional District, said Monday that the president’s firing of Secretary of State Rex Tillerson reeks of dangerous authoritarianism. Athens, Georgia—Chalis Montgomery, a Democratic challenger to U.S. Rep. Jody Hice of Georgia’s 10th Congressional District, has accepted an invitation from the Atlanta Press Club to debate other Democrats ahead of the May 22nd primary. 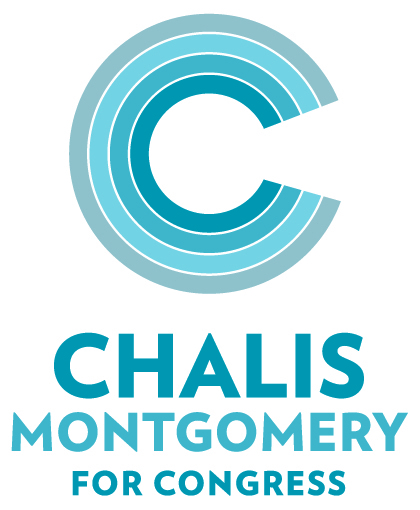 Athens, Georgia—Chalis Montgomery will focus on community candidate forums ahead of the May 22nd primary. Democratic congressional candidate Chalis Montgomery condemned the Trump administration’s decision to terminate the Temporary Protected Status (TPS) for roughly 200,000 El Salvadoran nationals. The decision comes after previous administrations extended the TPS agreement. While Congress continues negotiations to end the shutdown of the federal government that effectively began at midnight, 10th District Congressional candidate Chalis Montgomery said Democrats in Congress must hold the line on a fix for DREAMers. In an unsurprising but disappointing move Thursday afternoon, U.S. Secretary of Education Betsy DeVos announced that her department would weaken a set of Obama-era requirements for how colleges and universities deal with campus sexual assaults. Under the 1972 Title IX amendments, schools are legally required to respond to any such complaints under the federal civil rights law. Chalis Montgomery, a Democratic candidate for Georgia’s 10th congressional district, has called on U.S. Rep. Jody Hice to pledge now to support those in the southeast who will be impacted by Hurricane Irma. This morning, the Trump administration officially notified nearly 800,000 people that they are not welcome in the United States. These people came to this country as children and know no other place to call home. And now they are essentially left in limbo, as the president has called on Congress to come up with a new law to replace the Obama-era executive order by next March. The state of Georgia quietly announced Friday that it would end the practice of sending notices giving voters 30 days to update their address or be purged from voter rolls. Following historic Democratic victories in elections across the country, 10th District congressional candidate Chalis Montgomery is poised to tap into the impassioned energy generated to defeat Congressman Jody Hice. Atlanta—Democratic congressional candidate Chalis Montgomery is scheduled to speak on voting rights Friday, as part of a holiday celebration hosted by a grassroots group working to secure the vote for all Georgians. After months of inaction from Republicans in Congress, the CHIP program, which provides low-cost health insurance coverage to 9 million American children, was allowed to lapse. This program, which since 1997 has been supported by members of Congress in both parties, is essential to ensuring that our children can live healthy, high-quality lives and get the medical care, immunizations, and checkups that they need.